Some readers have written to tell me that the watches I feature are almost always very expensive, as they usually are top range luxury timepieces. Though I understand you, my dear readers, enjoy the super watches...like readers of car magazines enjoy seeing photographs and tests on supercars, you would also like some more down to earth watches for a change of scene. 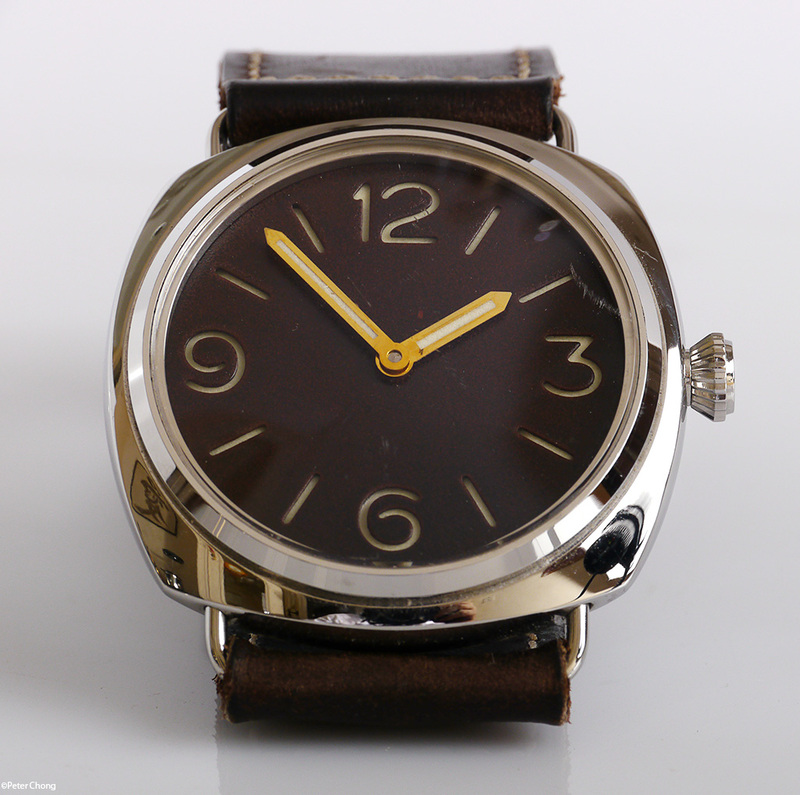 I will feature a series of more affordable watches...starting with this piece, which looks like the Radiomir from Panerai, but made from parts which are manufactured in China...including the Chinese made Unitas lookalike movement. All for a princely sum of less than S$300. The dial is hand made by Reed Tan, and because it is hand made, you can choose any colour you like...if Reed can come close to the colour, you can have it. You can also have pictures or drawings incorporated on the dial. 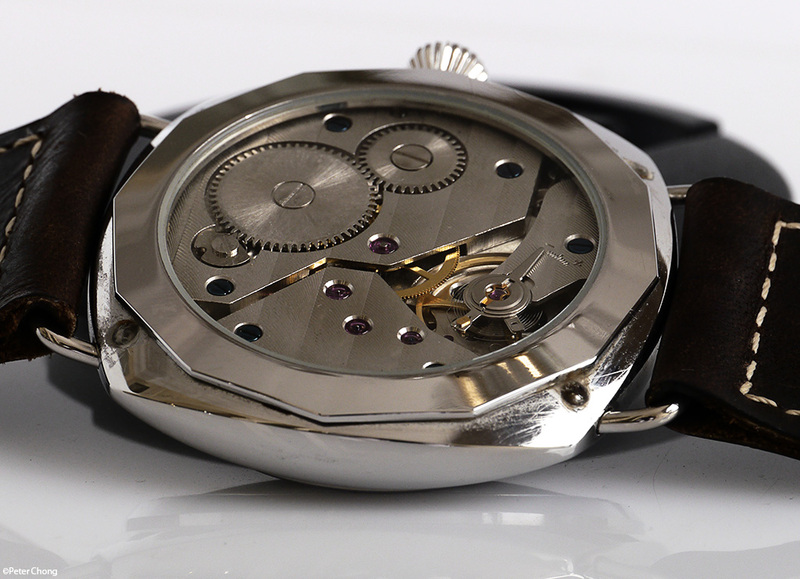 I chose a rust, brown dial, stained so that it is full of character and patina. Note this is a sandwich dial, and it glows very brightly in the dark after exposure to light. 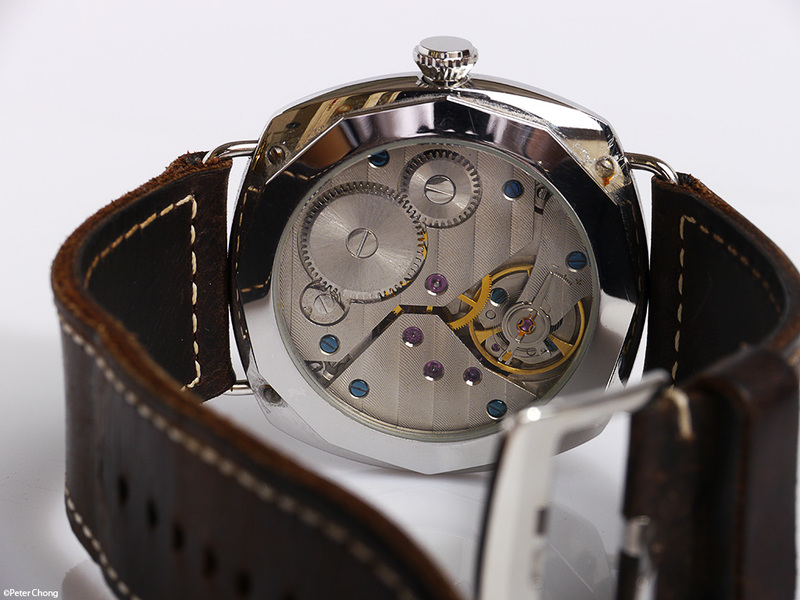 The movement is nothing to shout about, but it keeps good time, and is relatively good looking. 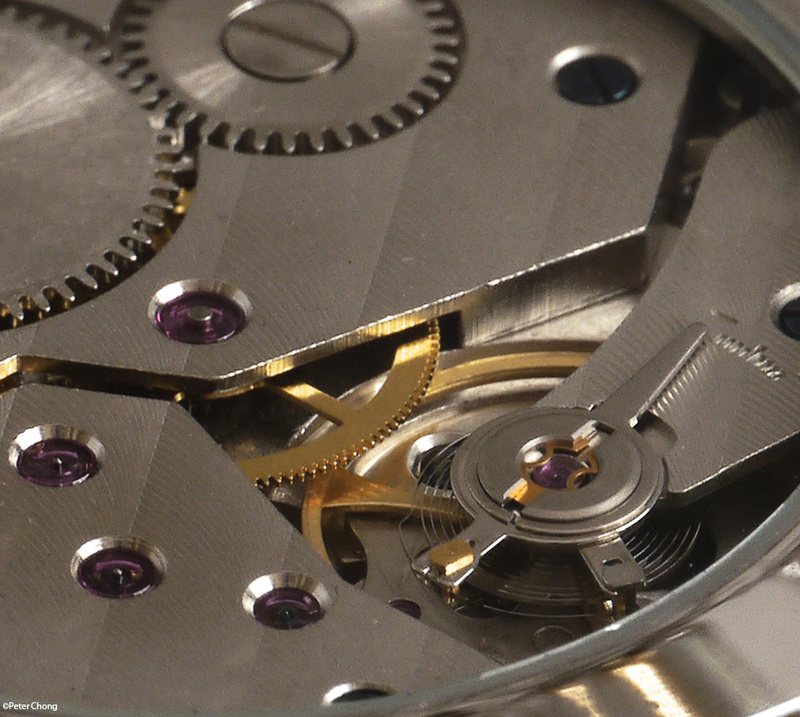 Detail of the balance wheel...what do you think? Value for money? p.s. the watch is worn by my 17 year old son, so has collected some scratches on the mineral glass. But the movement is strong, and despite the abuse of a teenager, it runs well, and keeps good time. Reed Tan is a great young fellow, and a pleasure to work with. His website is here.